Brands such as T-Mobile, Denny’s and Wendy’s have demonstrated that a little sass can garner a lot of attention on social. After all, it was Wendy’s that challenged a teen to get 18 million retweets for a year’s worth of chicken nuggets, leading to the most retweeted tweet of all time. However, a new study has found that when it comes to brands showing snark, there are boundaries, even for those that do it well. 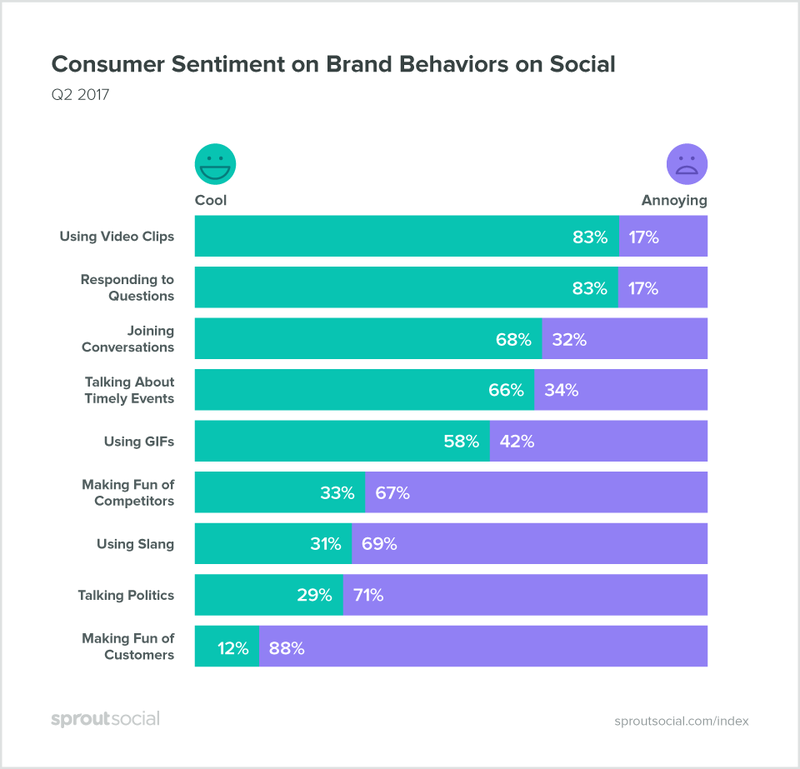 Social media management company Sprout Social surveyed 1,003 consumers to discover what behaviors consumers want from brands on social media. 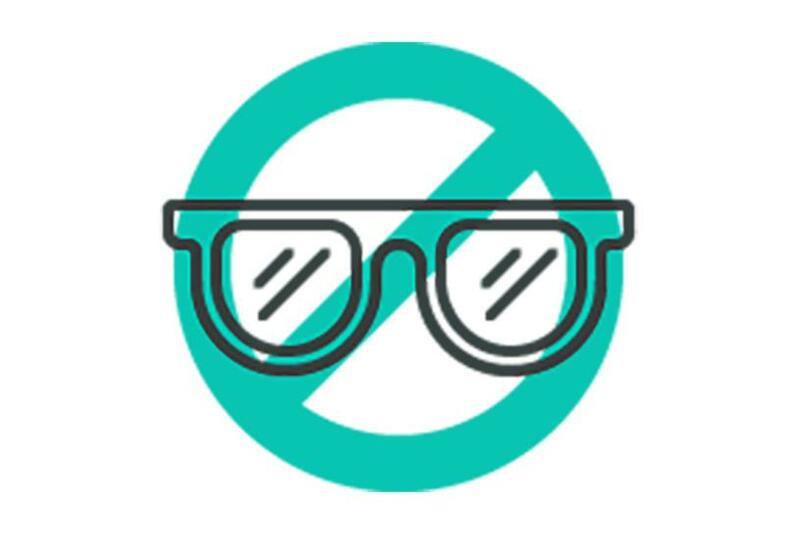 The company found snarkiness was the least desired; 67 percent of consumers don’t want brands to exhibit the trait on social, found the study. "Consumers follow brands on social for entertainment, answers to their questions and for contests and promotions." said Lizz Kannenberg, director of content at Sprout Social. "Consumers would rather get a response from your brand than a snarky blow-off." The study analyzed consumer sentiment towards the "snarky" ways brands use social, including the act of making fun of customers or competitors, talking politics or even using slang. Study respondents categorized these four social behaviors as annoying. Eighty-eight percent of consumers said they find it irritating when brands make fun of consumers on social; 71 percent didn’t appreciate it when brands talked about politics; 69 percent felt that the use of slang is lame and 67 percent said it was aggravating when brands make fun of competitors. On the other hand, consumers favored brands that used social as a customer care channel. In fact, 86 percent of study respondents said they wanted honesty from brands on social; 83 percent said they looked for friendliness and 78 percent said they appreciated helpful brands. The study found that there are ways brands use social that consumers think are "cool." Eighty-three percent think brands that use video clips are cool; 83 percent enjoy brands that respond to questions; 68 percent like when they join conversations; 66 percent believe they should be talking about timely events and 58 percent think they should use GIFs. "While it’s impossible to satisfy everyone on a single channel," said Kannenberg, "it’s possible to broaden your brand’s appeal by being friendly and increasing your response rate." But the findings shouldn’t stop a brand from being sassy on social, said Kannenberg. The study did find that 75 percent of consumers value humorous brands but, she said, there’s a "thin line" between a cool brand and an annoying one, and the difference comes down to authenticity. "Instead of looking to other brands to inform your social strategy, look to your audience," said Kennenberg. "Understanding what they want from your brand, then find ways to surprise and delight them through social content that resonates." Wendy’s, she said, is an example of a brand that has successfully combined snark in a way that resonates with its audience. Besides the #NuggsForCarter challenge, Wendy’s has shown its cheeky side in other instances. In April, when fast food chain Hardee’s promoted a similar four items for $4 deal on social, Wendy’s shut it down with a single tweet. In response to a Hardee’s tweet that reads, "Just because you were first doesn’t mean you’re best," Wendy’s wrote, "Tell us the fourth person to walk on the moon without googling it." "The reason this has worked for Wendy’s is because so many of their customers and fans fall into the millennial age group, which we’ve found is more accepting of this type of razzing on social," said Kannenberg. In fact, the report found that millennials are 20 percent more likely to think the brands that make fun of their competitors on social is cool. Whether a snarky comment comes off well also depends on the platform. 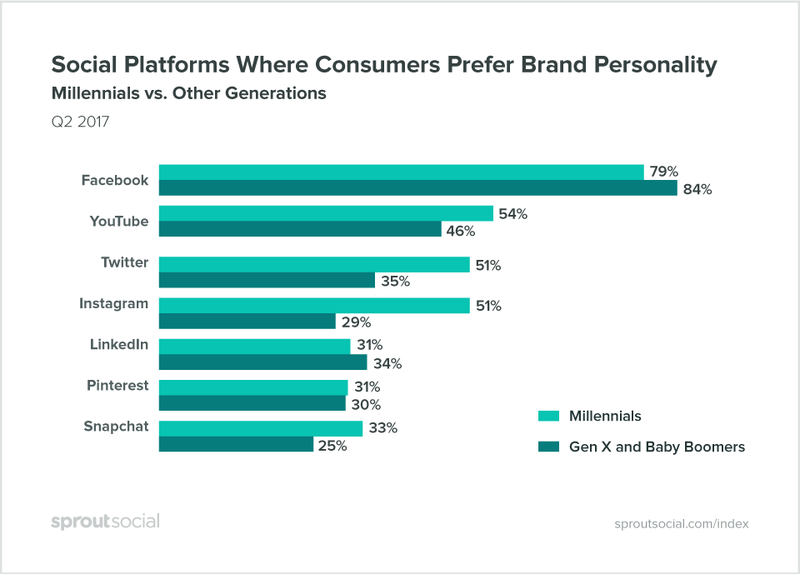 The study found that 84 percent of Gen Zer and babyboomers prefer to see a brand’s personality shine on Facebook; that number drops slightly to 79 percent for millennials. YouTube comes second with 46 percent of Gen Zers and baby boomers and 54 percent of millennials enjoying snark on the platform.